Remember E.L.F. 's Baked Blushes that I featured on here, not too long ago? Well, today I have all three of E.L.F. 's Baked Bronzers to share with you all ($3.00, each). 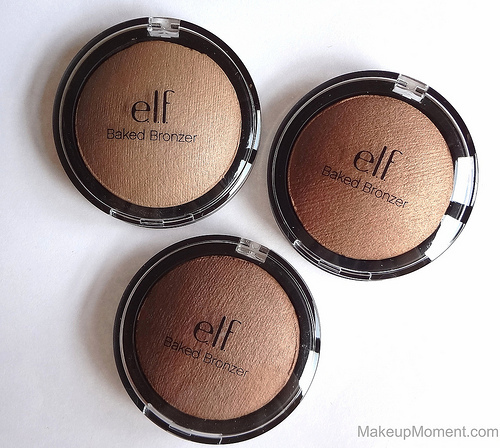 And let me just say, these bronzers are a real treat, that I am sure many of you will enjoy. St. Lucia: Light golden beige with fine silver shimmer. This is the lightest one of the bunch. 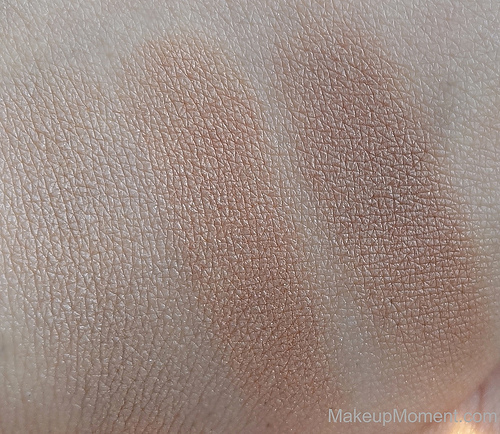 It's a very pretty muted shade, but it doesn't really show up much on my NC25 skin tone. So, I usually reserve this one for highlighting purposes. Although, I do think that those with very fair skin may enjoy this one, as the pigmentation may show up stronger. Maui: Warm gold with fine golden shimmer. I have been sporting this one the most and I simply love how it warms up my complexion. Looks very natural, on. Los Cabos: Light brown/bronze with fine golden shimmer. This is the darkest shade of the three, and I really enjoy using this one to lightly contour my cheeks. Gives a seamless result, every time. All three bronzers contain super ingredients like jojoba, sunflower, rose, apricot, and grape, which all work to help hydrate and nourish skin. Love that! Since they are baked, they can also be used wet, for a more intense effect. I haven't really tried these wet so I can't comment on how they perform that way. I much prefer to use my face products, dry. These delightfully smooth textured bronzers do contain shimmers, but since they are very fine, I don't really notice them much, once applied. 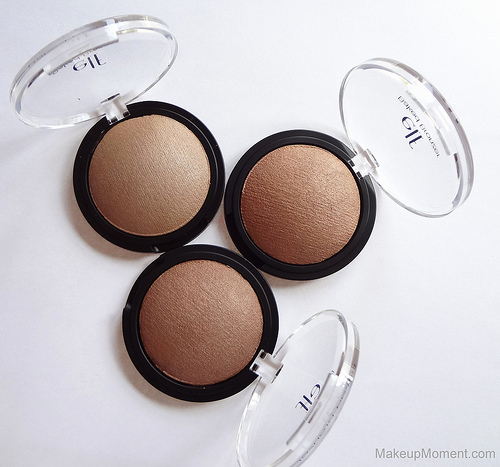 If you are one who isn't keen on using overly shimmered bronzers, these are definitely ones to look into. I also think it's great that these bronzers have no orange coloring to them so, they look incredibly natural on. They are easily buildable, too. I am for the most part happy with the pigmentation of these but, I do wish that it was a bit stronger in that department. Only because I find that I have to pack on the color a bit, to get it to show up to its full potential. As for lasting power, I have no complaints. 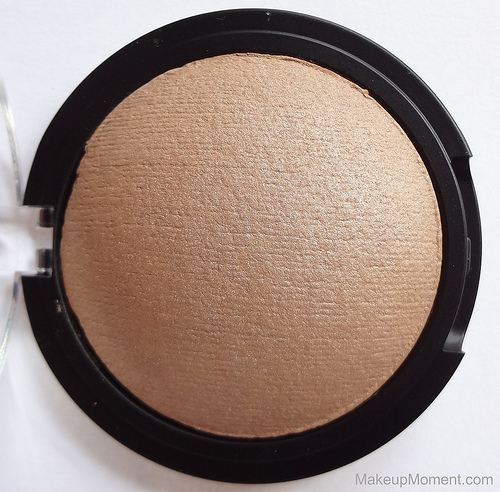 These bronzers stay in tact all day on my oily skin. 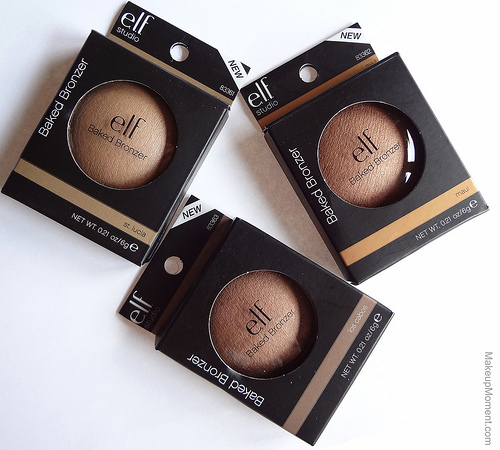 Overall, I really like these baked bronzers from E.L.F. and it's no surprise that they are quickly becoming a sure summer staple, that I am finding impossible to be without. What do you all think of E.L.F. 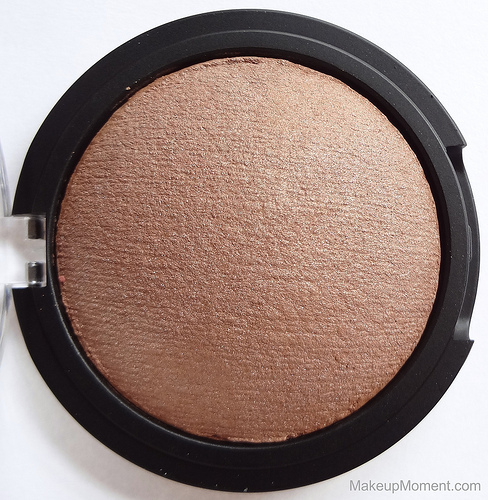 's Baked Bronzers? Which are your favorite bronzers? These are beautiful! I really need to make another elf order! Loving the new blog look Alina!! Your very welcome, Holly :) If you pick these up, let me know how you like them! The bronzers look very pretty did you order them online? I may just buy these! I can't wait to pick some of these up in my next ELF haul! They look promising! I have all 3 & Maui is my favorite! They are all pretty amazing though. I can't wait for these to be released in the UK. They look great & i love baked products. I really like the look of the St. Lucia one.